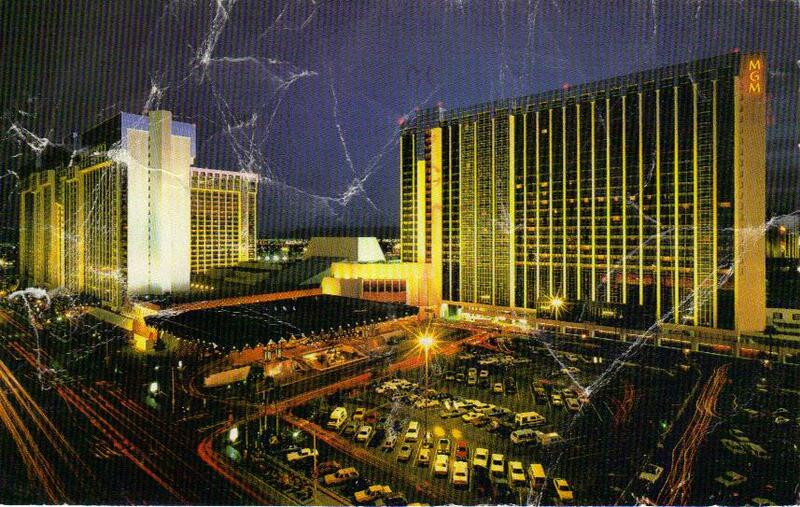 I am in Las Vegas, staying at this hotel. You be a good girl. I love you. Majestically towering over the glittering Las Vegas "Strip", the 2900 room entertainment resort complex is regarded as one of the truly outstanding hotels in the world. 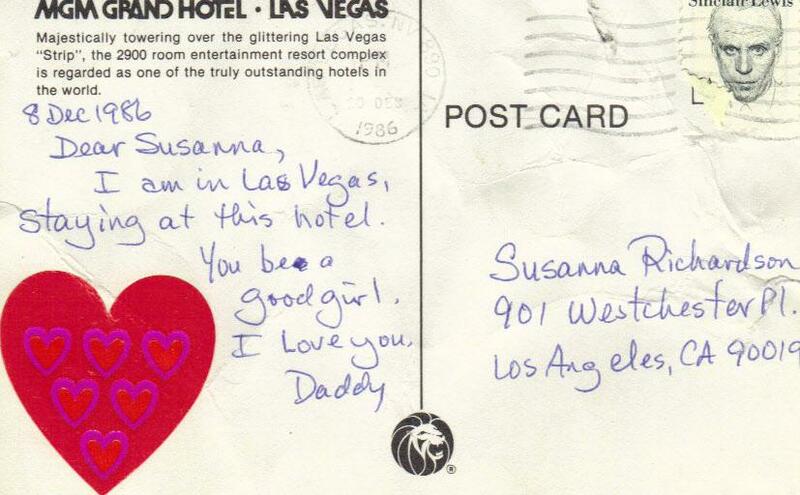 Another well-loved postcard for Susanna. Susanna comments: This postcard is quite dog-eared.